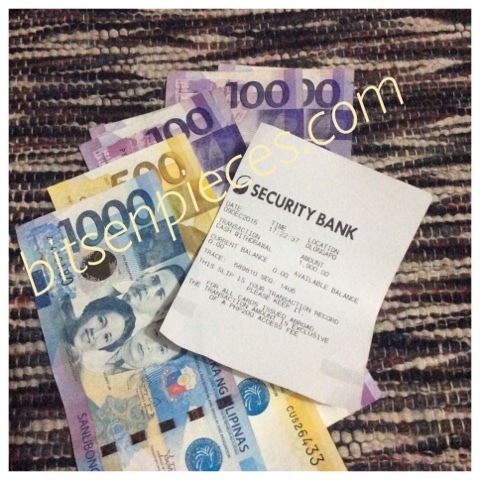 So, here is my blog about my first withdrawal transaction using my Coins.Ph funds to a Security Bank Cardless ATM process. 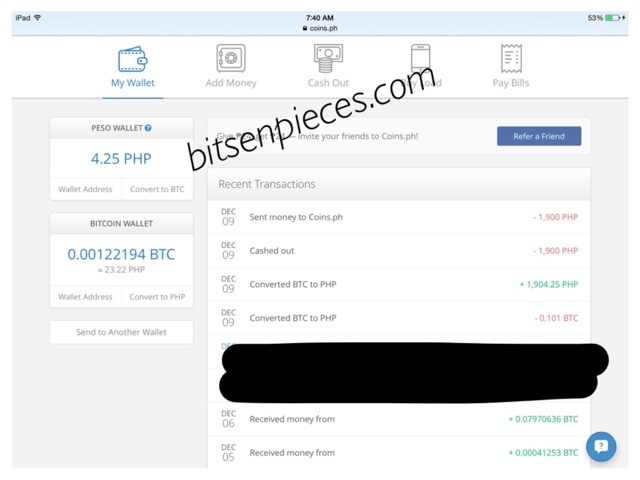 Months ago I was introduced to websites where I can earn bitcoins, those bitcoins can be transferred to this online wallet called Coins.ph . I have been doing several task online to earn bitcoins and recently I won $30 for a single tweet for the #GratitudeForYou campaign of Changetip.com. When I got prize, I had an option if I want to transfer it to my Paypal or by Coins.ph account. Since I wanted to try the how the withdrawal transaction of Coins.Ph, I transferred the funds there. I waited for 24 hours for the fund in the Coins.ph wallet before I made the withdrawal. Once you have available funds in Coins.Ph account. (eg. P500 or the equivalent amount in bitcoin). You can transfer the funds between the two. My funds were all in bitcoin so I converted the amount of bitcoin in peso equivalent. (0.101 BTC- P1,904.25). In the image you can see at the tab My Wallet, Add Money, Cash Out, Buy Load and Pay Bills. Choose Cash Out, variety of option you can choose from in cashing out your funds. -Out of all the options there to cash out the Cardless ATM is the best for me. It doesn't charge any fees with the transaction which is a Plus for me. 4. Key in the amount you want to cash in. Click next step, type in the Recepient's full name and Recepient's Mobile Number. Then click Complete Payment button. 5. In less than a minute I received an email containing the passcode number I need to enter in the atm machine plus an SMS with the 16-digit code also needed to be entered in the atm machine. The transaction I made will prompt right away in My Wallet dashboard which I can easily track. The email I got within a few seconds of the withdrawal, with the 4 digit passcode and other information needed in the ATM withdrawal later. 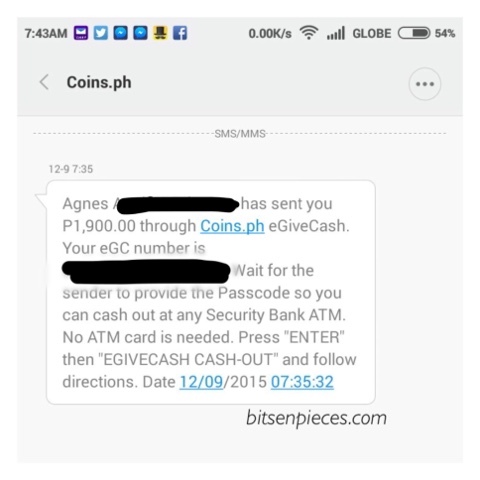 SMS from Coins.Ph with the amount I requested, senders name and the 16-digit code. 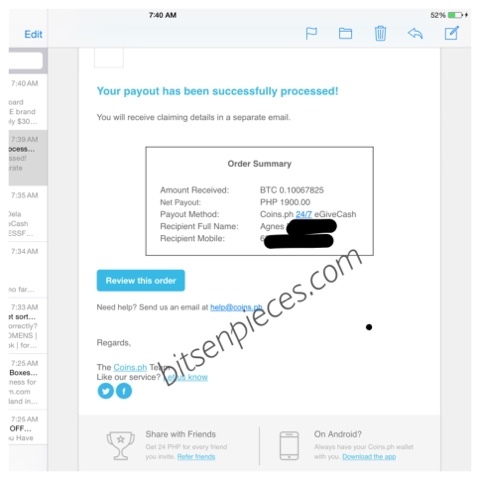 Another email informing me that the order I made for the Coins.ph Cardless ATM Security Bank withdrawal payout has been successfully processed. I requested for the amount of P1,900 and take note, the amount in your coins.ph if it is in you Bitcoin wallet will go up and down depending on the gold exchange rate in the market. And as of today, this is the highest amount of my bitcoin funds that I converted right away with peso amount. 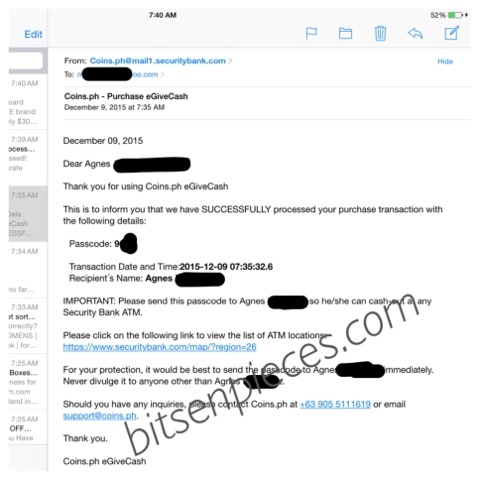 "NOTE: The minimum amount for eGiveCash orders is Php500, while the maximum amount is Php10,000 per transaction. There is also a monthly limit of Php100,000 per recipient mobile number." I will update this blog post once I get my money from Security Bank later today.